The National Credit Act No 34 of 2005 was passed by Parliament on the 10th of March 2006. It is designed to achieve a number of objectives, most of which are to benefit and protect the consumer. The aim is to introduce a single, functional system of regulation that will apply to all credit activities, thereby ensuring that all credit providers and credit consumers are treated equally. Broadly, the Act aims to reduce reckless credit behaviour, both by credit providers and consumers and the level of over-indebtedness in South Africa. What will the NCA course enable you to do? The training programme covers the National Credit Act, credit institutions, agreements, consumer rights, complaints and disputes and provides full preparation for an examination. Understand the purpose and relevance of the National Credit Act (NCA). Understand the requirements with regard to the enforcement of the NCA. 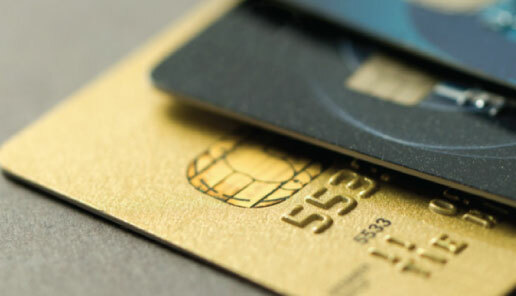 Understand the regulation of the consumer credit industry. Recognise the purpose and functioning of the National Credit Regulator. Recognise the purpose and functioning of the National Consumer Tribunal. Identify the categories of credit agreements. Understand the disclosure, form and effect of credit agreements. Understand unlawful credit agreements and unlawful provisions in credit agreements. Understand the costs with regard to credit agreements. Understand the requirements with regard to statement of account. Understand the alteration, rescission and termination of a credit agreement. Understand the consumer’s right with regards to credit. Understand the consumer’s right with regards to confidentiality, personal information and credit records. Examine the requirements with regards to credit marketing practices and advertising. Understand the concept of over-indebtedness and reckless credit. Evaluate the requirements with regards to dispute settlement. The learning material is developed by an industry expert according to industry requirements. Registrations will be accepted from Monday to Friday. The student will be linked to the leanring material on the Student Management System, after the registration is finalised and payment has been made. After studying the material, the learner will complete a Final Assessment, electronically. Registrations will be accepted at any time throughout the year. Payment will be required to finalise the registration. Learners will receive a MBSE certificate after successful completion of the course. They will also receive a NCA card that is necessary for Finance and Insurance brokers (F&I). No classroom training will be available. Learner support and interaction will be via tutors online and in the form of webinars, discussions or chat groups. Learning material will be made available on the ‘Student Management System’ (SMS). Registration is flexible and can be done 5 days a week. After studying the material, the learner will complete a Final Assessment, electronically. 60% is required to pass. If you’re looking for a Finance and Insurance course, you’ve come to the right place! 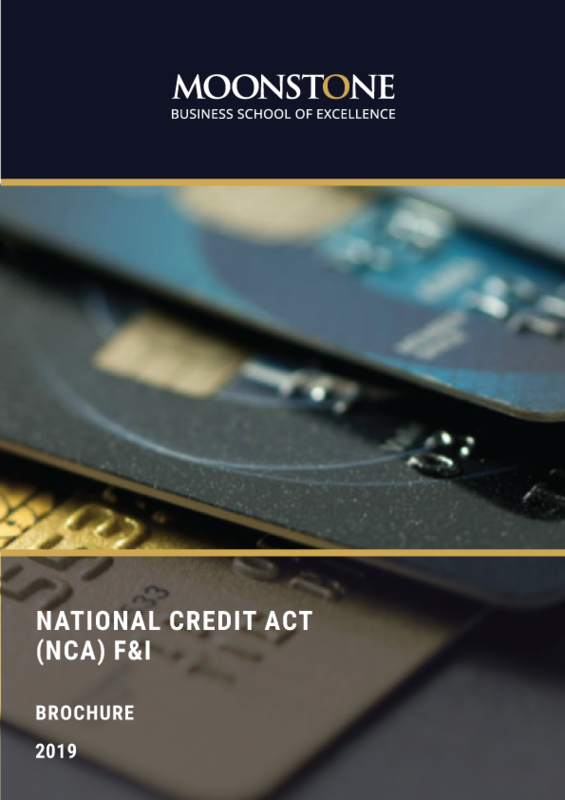 The National Credit Act No 34 of 2005 was passed by Parliament on the 10th of March 2006. It is designed to achieve a number of objectives, most of which are to benefit and protect the consumer. The FICA Awareness Training is aimed at employees of accountable institutions and covers basic money-laundering and terrorist financing concepts, anti-money-laundering legislation in South Africa, the risk-based approach, and looks at the requirements for customer due diligence, reporting of certain transactions and record-keeping requirements. The CIMA Tuition aims to prepare students for CIMA’s Certificate in Business Accounting and the CIMA Professional Qualification. CIMA is the world’s largest professional body of chartered global management accountants, and offer the most relevant accounting qualifications for a career in business and finance. The Qualification is a holistic introduction to Wealth Management and Wealth Creation. It enables intermediaries to understand the Wealth Management environment, the legislative requirements and product-related information. Our qualification is aimed at students with less than four years’ experience, newcomers to the industry, or those who have lots of experience, but would like to brush up on their product knowledge. We developed the Skills Programmes, covered in this qualification, to provide intermediaries with more options to comply with the requirements of the FAIS Act. The qualification covers Short-term related learning and provides a framework for students to develop competencies that will give them insight into the Short-term insurance sub-sector. It introduces a basic understanding of the key terms, rules, concepts and principles of the fields that will ready them for the industry. The National Certificate in Wealth Management will provide students with a wide range of specialised and technical skills, as well as knowledge of the applicable legislation, economic principles and the financial services industry in general. Students will be exposed to the important terms, rules, concepts, principles and theories of Wealth Management. This certificate is a building block for students who wish to follow a career path in Financial Services within Long-Term Insurance and Investment. The Higher Certificate in Wealth Management (HCWM) provides an ideal entry point into the financial services industry in various roles, or to kickstart your career in financial planning. The HCWM is recognised by the Financial Services Conduct Authority for all product sub-categories of Category I FSPs, and can be used to fulfil fit and proper requirements for FAIS roles in Category I FSPs. Companies and organisations are required to comply with various regulations and legislative requirements. Moonstone Business School of Excellence’s Occupational Certificate: Compliance Officer (NQF level 6) qualification equips students with these expert skills, and practical experience in legal matters, compliance risk management as well as the compilation, implementation and reporting of compliance strategies. Principal Executive Officers are the executives of retirement funds in Southern Africa. They play an important role within the governance system of a retirement fund and are vital in the proper performance of the board of trustees.